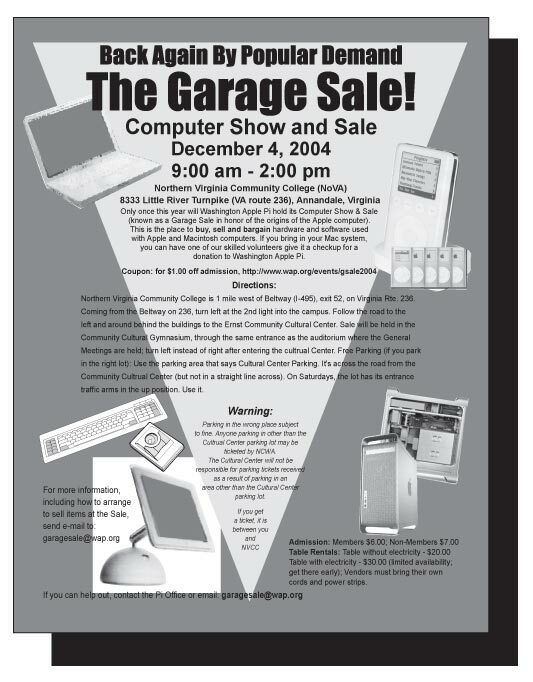 Washington Apple Pi's legendary Computer Show and Sale (better known as the Computer Garage Sale) returns on December 4, 2004, from 9 am to 2 pm. Grab a flyer for full details. Or see the movie preview (QuickTime, 1 MB). 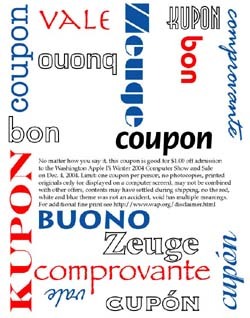 There is also a post-sale promo film by Hal Cauthen. 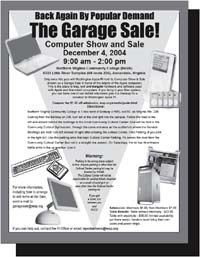 You can get a flyer in Web-friendly JPEG (84 K) or printer-friendly PDF (740 K). 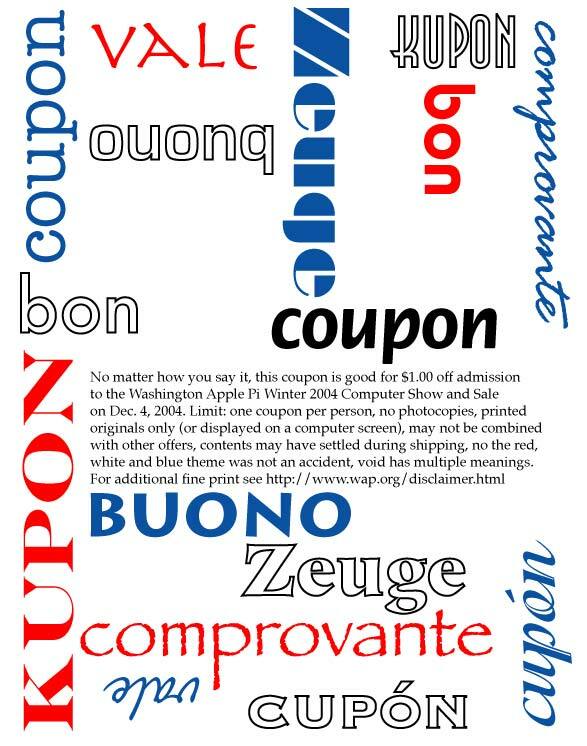 The coupon, suitable for display in an honored place within the family home, is also available in Web-friendly JPEG (81K) or printer-friendly PDF (104K).